They’ve endured enough printing and prototyping that I’m finally satisfied with them, and now my birdmarks are up for sale in my shop! Go take a look! Birdmarks in their natural environment. 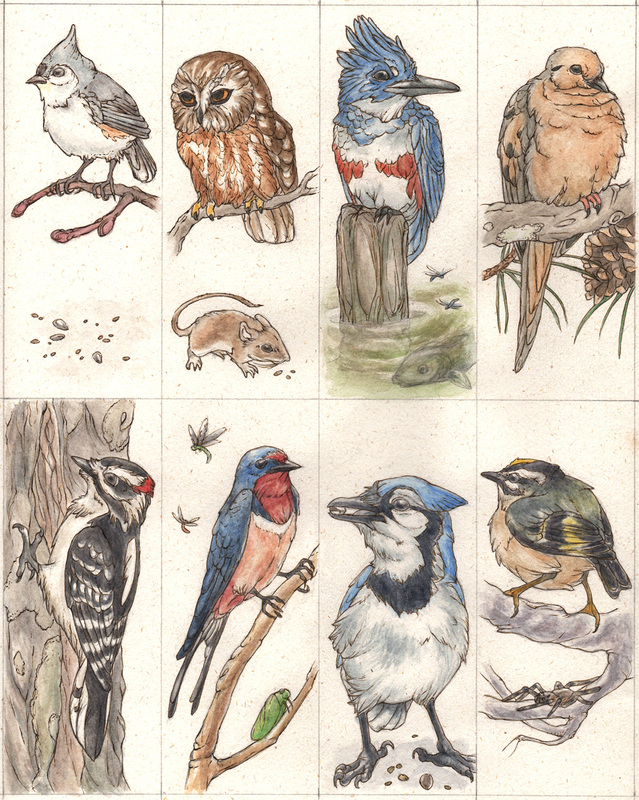 I decided that I hadn’t been drawing enough birds. So, as a solution, I made these bookmarks. Printed versions of which will be for sale in my shop once I finish page 2. The technique is a shade different than usual, as I saved the inking for last. Sort of like that, feel like it frees me up for a somewhat more expressive mark. Considering how overly controlled my mark usually is, that’s probably a good thing. WIP stages below the break!